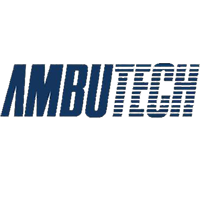 Ambutech Kiddie Aluminum Rigid Canes feature heavy-gauge aluminum construction to withstand considerable abuse. Straight handle with flat-sided small grip. 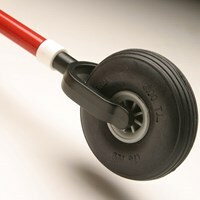 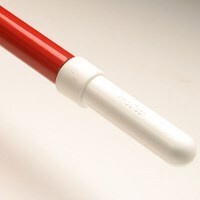 White reflective tape with a six-inch red stripe (standard for normal North American usage.) 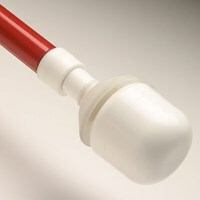 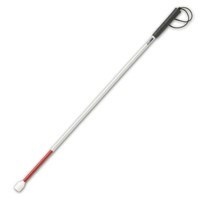 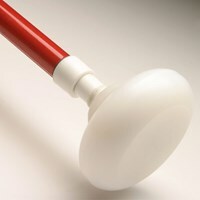 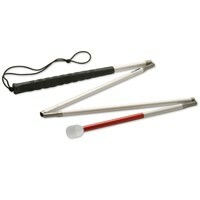 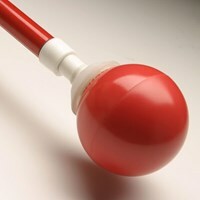 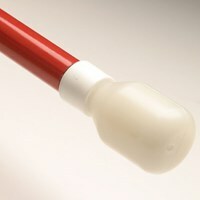 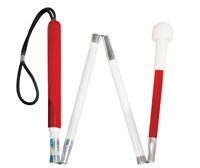 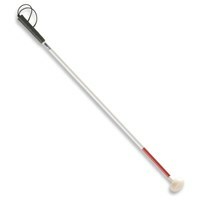 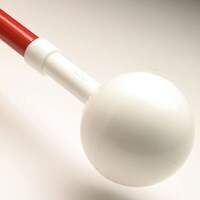 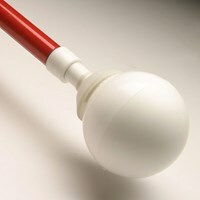 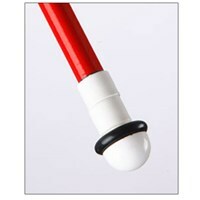 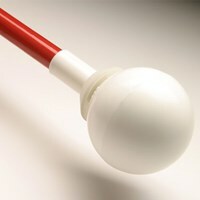 Durable nylon hook-style marshmallow tip attaches securely to the elastic cord and is easy to replace/change. 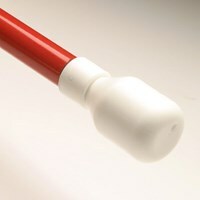 Available in lengths from 24" to 34" (60–85 cm).